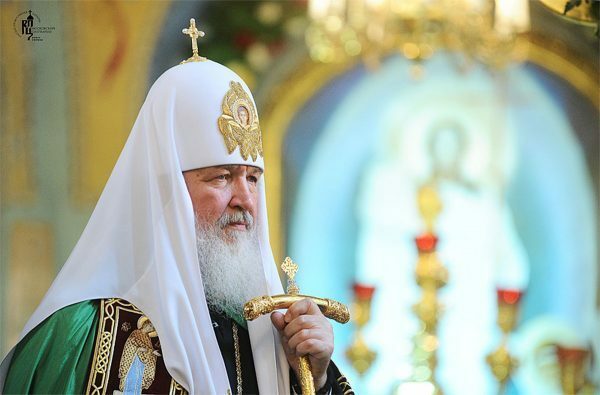 Moscow, December 26, Interfax - Patriarch Kirill of Moscow and All Russia prayed for the repose of all those dead in the air crash in Sochi. Tu-154 crash victims remembered at memorial service in Washington, D.C.
Head of the patriarchal press service priest Alexander Volkov told the journalists that the commemoration prayer was lifted up on Sunday in the morning during the patriarchal service in St. Spyridon Church in Moscow district Nagatinsky Zaton. Later, the press service spread the patriarch’s condolences to relatives of the victims. “My heart was filled with pain when I heard tragic news about the crash of the plane of the Russian Defense Ministry in the Black Sea aquatory,” he said. “May the Lord comfort all those who were touched by this horrible tragedy and strengthen the relatives of those dead to go through the trial,” the letter of condolences reads.